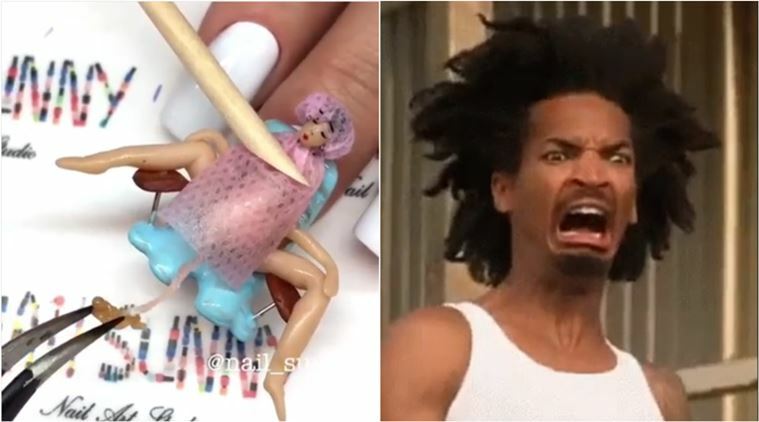 Why are social media users freaking out over this bizarre nail art? In the footage going viral on Instagram, Russian manicure specialist known as Nail Sunny recently uploaded a jaw-dropping video showing a detailed birth procedure, where a small figure of a woman dressed in a pink hospital gown and scrub cap and is seated on a chair. And the tiny “baby” is born as much like a forceps delivery! To make it really uncanny, with a small scalpel the specialist is seen literally cutting the “umbilical cord” and placing the little one on the mother’s arm.